Who would be the first pilot to fly from New York to Paris and claim the $25,000 Orteig Prize? Three teams of fliers had already failed (and six men had died trying) when unknown air mail pilot Charles Lindbergh took off for his own attempt...solo. 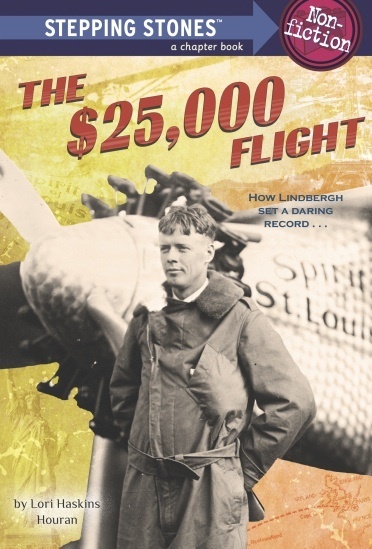 Lindbergh's harrowing trip made him a hero, and changed the history of flight forever. Paperback chapter book. Ages 7 to 9. Random House, 2014. The true story of an unsolved mystery. Three daring criminals broke out of Alcatraz Penitentiary in 1962...and were never seen again. Did they make it? This book was first published by Random House in 1996. The Golden Gate National Parks Conservancy reissued it in 2012. Now it's a top seller at the Alcatraz gift shop! Paperback chapter book. Ages 7 to 9. Golden Gate Conservancy, 2012. Bright photos and super-simple words for the youngest tractor fans. Paperback easy reader. Ages 4 to 6. Parachute Press, 2009.